News at Spencer Public Library: 2014 Summer Reading Program Thank You! 2014 Summer Reading Program Thank You! We'd like to thank all of you who supoprted and participated to make this year's Summer Reading Program one to remember! 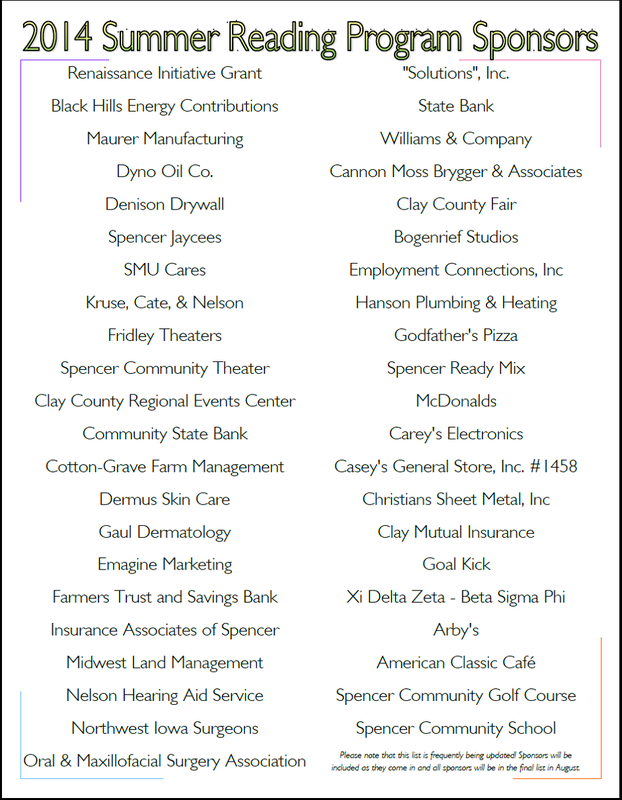 Please don't forget to thank our sponsors for their support.